It’s the start of a new year and with that, new resolutions. Most of us have certain goals we wish to accomplish or challenges we hope to face. If you’re late to the game and haven’t thought about a resolution yet, consider making some small changes that can greatly impact our planet. It’s vital that we do whatever we can to reduce our waste and it’s not as difficult as you may think! 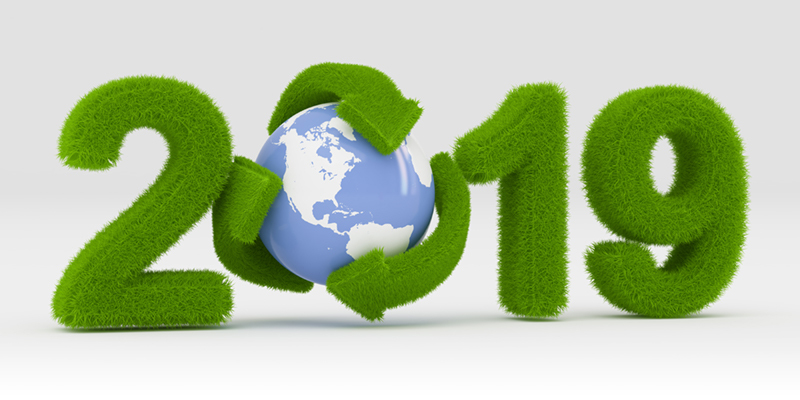 Here are ten eco-friendly resolutions for the new year to get you inspired and ready to make a difference. Did you know that a million plastic bottles are purchased every minute around the world and only 9% of plastic is recycled? These plastic bottles end up polluting our planet and harming wildlife, floating around in our oceans and sitting needlessly in landfills. Why use plastic when you can simply opt for a reusable stainless steel or glass bottle? Reusable bottles are also a lot more fun and personal than a plastic water bottle. Choose whatever color or pattern you want and say goodbye to all that waste. Remember to also bring a thermos or insulated travel cup when you visit a cafe! The barista won’t mind! 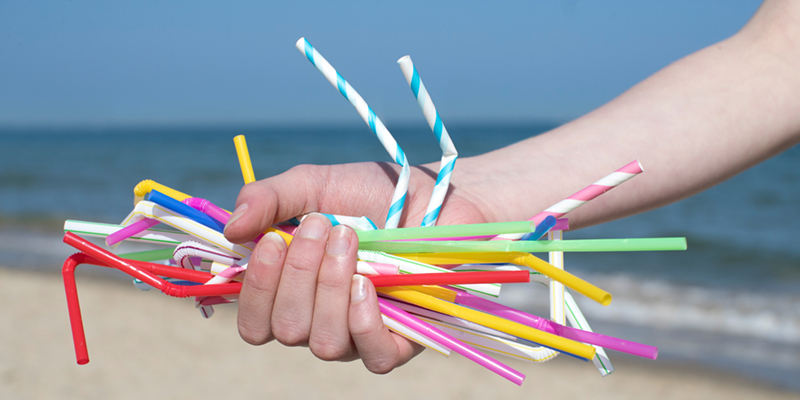 About 500 million plastic straws are used in the United States every day. Plastic straws are polluting our oceans and being ingested by marine life. When you go to a restaurant, tell your server that you don’t need a straw. There are also eco-friendly straw options! Purchase a reusable stainless steel or bamboo straw. When you go to the grocery store, you always see customers carrying their food out in plastic bags without a care in the world. But it’s become more and more evident that we should care. According to a 2015 study, there are over 5 trillion pieces of plastic in our oceans. Plastic bags are consumed by unaware wildlife, causing harm and even death. Whales are being found with plastic bags in their stomachs. Sea turtles are also mistaking plastic bags for food. These creatures are paying the ultimate price for our actions. An easy switch is to start using a reusable shopping bag when you go to the grocery store or even clothing stores. There are plenty of cute cotton totes out there. You’re bound to find one that reflects your personality. Speaking of running out to the grocery store—have you thought about changing your eating habits? The food that we eat is fuel for our body so it’s important to think about what we’re introducing into our diet. Try buying fresh, organic food fruits, vegetables, and eggs whenever possible. 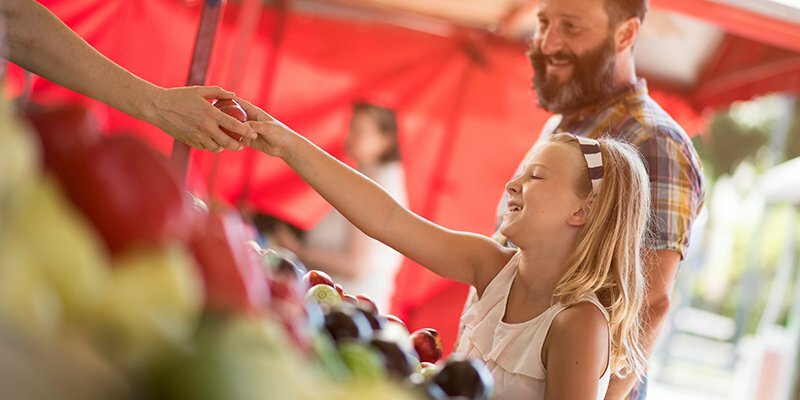 Visiting your local farmer’s market (with your reusable shopping bag) is great for your health and the planet’s. You’re supporting local organic farming that doesn’t involve pesticides or excessive transportation. You’re also helping out a local business owner who appreciates your support! There’s basically no downside here. Cutting down on meat is also an eco-friendly resolution, or if you’re feeling really adventurous, you can try going vegetarian or vegan. Investing in an organic furniture piece means getting rid of your off-gassing sofa or loveseat and introducing a cozy, natural addition to your living room. Ditch synthetic materials and instead look for organic fabrics, natural latex, and sustainably-sourced wood with zero-VOC finishes. You can shop Savvy Rest’s furniture line here. At the end of a long day, we turn to our bedroom for rest and relaxation but what if we’re sleeping in a toxic environment? We spend a third of our lives sleeping so opting for an organic mattressis definitely a smart move. 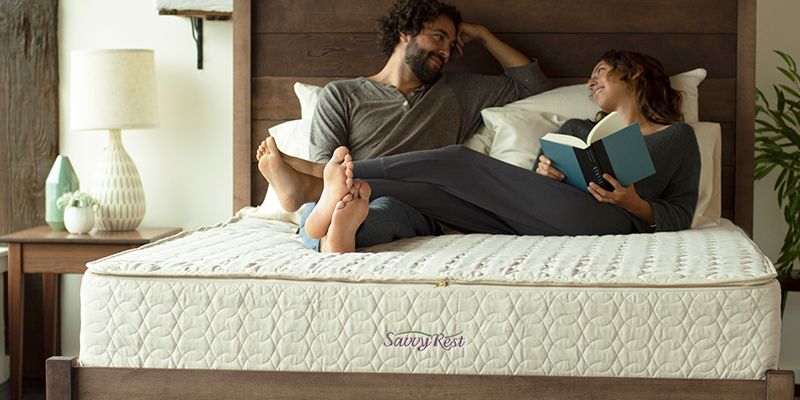 Savvy Rest organic mattresses are responsibly manufactured without harmful chemicals and synthetic materials, such as polyurethane foam. Learn more about our most popular GOTS-certified organic mattress, the Serenity, made with layers of cozy natural latex. You’ll be sleeping soundly and supporting a more environmentally-friendly product than a traditional mattress. Not ready to switch out your mattress? That’s okay. You can always start with an organic pillowinstead! Conventional cosmetics contain harmful carcinogens and ingredients such as parabens, talc, and polyethylene. Parabens alone have been linked to breast cancer and may even affect fertility. You can imagine what these chemicals do to the environment. Increased awareness of these health risks has lead to the rise of brands like RMS Beauty, ILIA,and 100% Pure which utilize organic and natural ingredients. Driving your car everywhere? If possible, try walking, biking, or taking public transportation more often to decrease your carbon footprint. 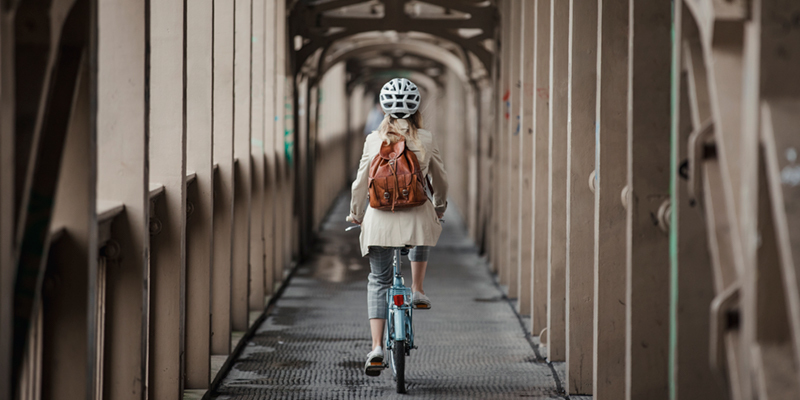 Walking and biking, in particular, are not only easier on the planet, but they’re a fantastic way to integrate some fitness into your day. Not a fan of any of these options? Even carpooling is helpful because that’s one less person on the road using fuel. Composting is an incredible way to literally give back to the planet. There is a common misconception that food simply breaks down in a landfill without any issue. However, those veggie scraps from that salad you made will simply rot and produce methane gasif not composted. There are several ways to compost but if you don’t have your own garden, try collecting your food scraps in a large bowl and keeping it in the freezer during the week. When you’re ready, bring the scraps to your local farmers market if they have a compost station! You can also ask your local natural foods store if they compost. 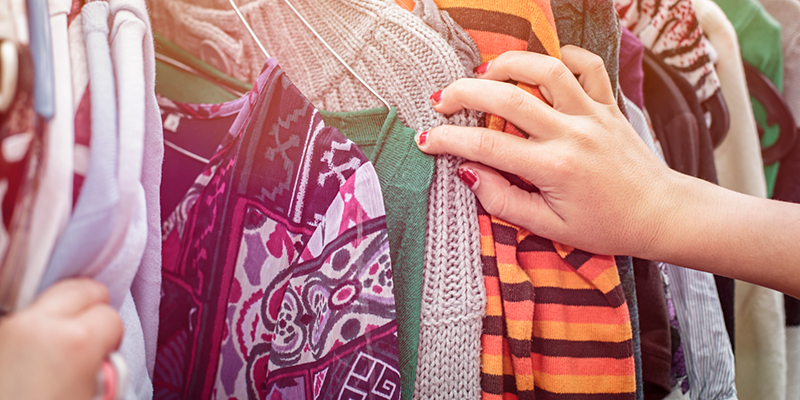 The final resolution is purchasing more secondhand items, whether clothing, handbags, kitchenware, home decor, etc. These items already exist and will ultimately end up in a landfill if not used. You can seriously find some great deals on quality products that need a home so you’ll be making an eco-friendly purchase and saving money at the same time!